<. 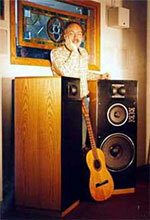 We have many JBL speaker components, including 8", 10", 12", 15", plus horns, drivers & tweeters. 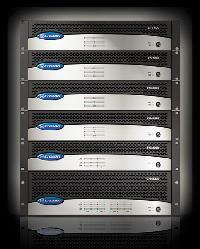 For over 60 years, Crown has been the world's leading manufacturer of professional amplifiers. Crown is the most popular amp today in demanding IMAX & THX movie theaters, concert halls & for national touring musicians. You'll find Crowns in many churches, schools, nightclubs, etc. Crowns' durability is legendary. Crown amps have dropped out of trucks, fallen several floors & been in buildings that have burnt down, yet still work. Even Crown's warranty is very special: 3 years, parts & labor, with no exclusions for abuse, like falling out of a truck. Every Crown pro power amp will rack mount, has two volume controls, plus can be used in mono & stereo. While many home amps or receivers stuggle to power speakers in five or more rooms, Crown amps can easily do this. Unlike most home units, the Crowns are stable into a 2, 4 or 8 ohm load. These were in a Denver church; they sound & look great; minimal use; they are not road dogs, They're great for high power musician or DJ use; home or SE tube amps. We have many JBL speaker components, including 8", 10", 12", 15", plus horns, drivers & tweeters. We have lots of used pro equipment, all in excellent condition & guaranteed. Customers often ask if this equipment is new or used, because it looks like new. Since we do not have shipping cartons, this equipment is only for local sale. NO SHIPPING. JBL, CROWN, MARANTZ & ORTOFON over 60 years. Our award-winning designer can create an impressive system within your budget for clubs, DJ's, restaurants, schools & churches. Our professional clients include NASA, Lockheed, Martin-Marietta, Boeing & many others. JBL PRO SPEAKERS are chosen for 70% of THX movie theaters, recording studios & concert halls. We display JBL pro speakers, including systems with pure titanium diaphragm horns double 15" woofers. This system for only $918/pair handles up to 2000 watts & are 100db efficient. If you'd like to custom build more efficient speakers than any home model, we stock a wide choice of JBL pro woofers, midranges & horns. CROWN, our most popular amps, is world famous for sound & durability. Crown amps start at $299 with 300W/ch. 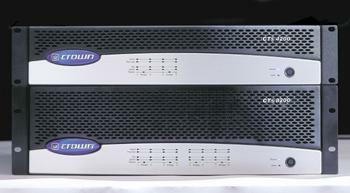 Crown amps are chosen by most concert halls, recording studios, clubs & theaters. Crown amps safely handle 2, 4 or 8 ohm loads & have balanced XLR inputs. Crown amps can mono bridge into 4 or 8 ohm loads. Crown amps have up to 9000 watts. Crown has amplifiers designed for recording studios, concerts, DJ's, schools & churches, plus light-weight models ideal for mobile use. Crown's famous 3 year no-fault warranty covers any abuse. You can spill beer into a Crown amp or drop it off your truck & it will still be fully warranteed. ANCHOR battery & AC powered portable speakers have built-in amps & mixers. Their products include bullhorns, plus powered speakers with built-n receivers for wirelss microphones. They have been used by the President, at parades, ballparks & many public events. Anchor products are U.S. made & have a 6 year parts & labor warranty. AUDIO-TECHNICA microphones are renowned for low cost & high value. They make wired & wireless handheld, headset & lavaliers, in dynamic & condenser models, plus cables & mic stands. Audio-Technica is one of the world's largest microphine manufacturers. Their mics are used at the Olympics & many other international events. DBX makes many crossovers, equalizers [mono, stereo, octave & 1/3 octave], compressors, tube & solid state mic preamps, plus other processors. The Drive Rack systems economically combine a crossover, equalizer, compressor, notch filter, driver alignment delay, EQ for specific JBL speaker systems, plus RTA & feedback eliminator. DENON makes great rack mount pro CD & DVD players, cassette decks, receivers [AV & stereo], tuners, integrated amps, AV preamp & combination CD players & cassette decks. DJ products include top-load & double DJ CD players, plus DJ mixers. DJ: DENON & GEMINI products are famous with DJ's. DJ systems with CROWN amps, JBL speakers, CD players & mixer start at $1447. recorders can record over 30 hours digitally. SENNHEISER microphones are an international standard. You'll find their microphones throughout recording studios, live concerts, theater & more. Their headphones are universally praised for the best sound, comfort & quality construction. Many dynamic & condenser models are available in wired & wireless configurations. have been in business over 50 years. AUDIO-TECHNICA & DENON, over 40 years. CROWN amps are used by 70% of national acts, including Aerosmith, Clay Aiken, Allman Brothers, The Beach Boys, Dierks Bentley, Black Label Society, Dimmu Borgir, Cheap Trick, Cher, Kenny Chesney, John Conlee, Rita Coolidge, Motley Crue, Hillary Duff, The Fixx, Roberta Flack, John Fogerty, Josh Groban, Isley Brothers, Alan Jackson, Elton John, Patti LaBelle, Annie Lennox, Madonna, Don McLean, Metallica, Bette Midler, Willie Nelson, Olivia Newton-John, Ozzy Osbourne, Phish, Judas Priest, Linda Ronstadt, Rush, Scissor Sisters, Jill Scott, Simon & Garfunkel, Slayer, Britney Spears, Sting, George Strait, Styx, Shania Twain, Keith Urban, Usher, Van Halen, Vanessa Williams, Wynonna & more.